Small - $49.99 Medium - $54.99 Large - $54.99 X-Large - $54.99 2X - $54.99 Only 8 left! You think you’re a real sneakster, don’t you? Oh, we know all about your M.O. Sneak up behind the monster, draw your blade, and then unleash a flurry of sword strokes before the monster even has a chance to bat an eye at you. Well, we can't blame you! We happen to think that going full-on rogue-style like that is the best way to play The Witcher 3. So, of course, we didn’t even hesitate when it came time to select Grandmaster Armor. It’s the Grandmaster Legendary Feline Armor Set all the way. That handsome armor makes all of your sneaky behavior even more effective, so there’s really no reason to wear any of the other ones. Unfortunately, there’s no quest in real life that will get you a full set of Grandmaster Armor, but the good news is that there still is a way for you to dress like Geralt! The Witcher Grandmaster hoodie recreates the look of Geralt of Rivia’s legendary garb. It's made from a cotton/poly blend that's both comfortable and stylish. 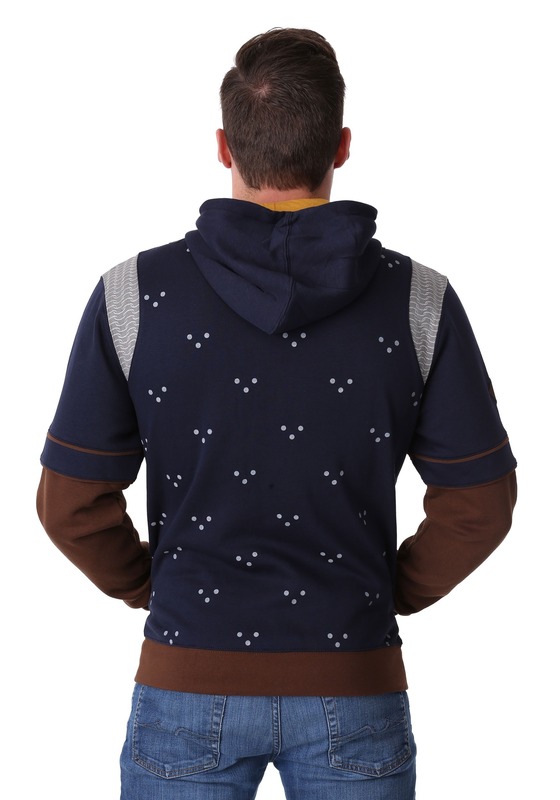 It's a classic zip-up style and features a printed pattern that looks like armor. It also has faux leather straps on the shoulders and brown fabric on the sleeves to mimic the look of leather gloves. 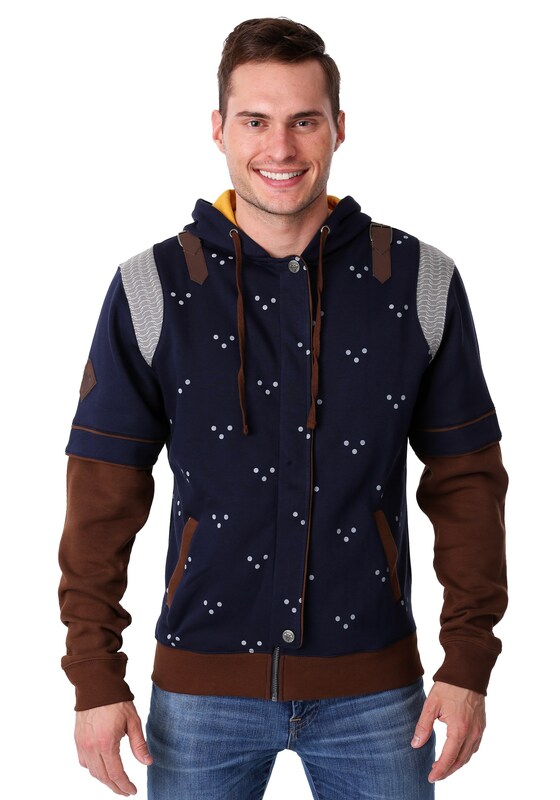 Just toss this officially licensed Witch 3 hoodie on, and you'll be ready to sneak around on your next monster slaying mission. It's also a quick and easy way to cosplay as your favorite video game character... just make sure you start cultivating that manly beard now!